Samsung Pay is the smart wallet that makes it fast and easy to pay when you’re on the go. Simply add your eligible IMB Visa Debit Card to your Samsung smartphone or smartwatch using the Samsung Pay, or Gear Manager app. Add your favourite loyalty cards to slim down your wallet and capture your loyalty points at the checkout. Every payment is authenticated by your fingerprint or device passcode, and your card details aren’t shared with the vendor. Register your fingerprint and device passcode which you’ll use to authorise payments. If you have a Galaxy S8, Galaxy S8+ or later release smartphone, you can scan your iris for authentication. Scan or enter your IMB Visa Debit Card details. Start Samsung Pay by either swiping up from the home button or opening the Samsung Pay app from the home screen. Select your IMB card by swiping left or right. Enter your PIN or verify your fingerprint before touching your phone to the retailer’s payment reader. If you have a Samsung Galaxy S8 or Galaxy S8+ smartphone you can authorise the payment using the Iris scanner. Select your IMB Card by swiping left or right, or by rotating the watch’s bezel to select a card. Place the top crown of your Gear smartwatch near retailer’s payment reader. For every purchase you make with Samsung Pay and IMB Visa Debit Card between 30/01/19 and 24/04/2019, you'll get an entry into the draw to win up to $2,000 cash into your nominated IMB account. Samsung Pay is a secure and easy-to-use mobile payment service which is designed to make purchases almost everywhere. It enables the use of credit cards from participating financial institutions and loyalty cards from participating merchants. 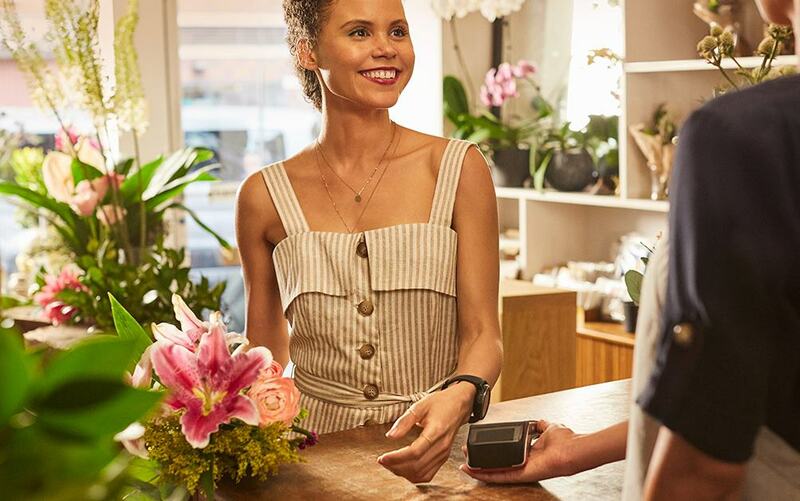 To help make mobile payments and scanning loyalty cards more accessible to merchants and customers, Samsung has included Near Field Communication (NFC), Magnetic Secure Transmission (MST), and MoBeam technologies. Visit samsung.com/au/apps/samsungpay for full list of eligible devices. 1. A person will get one entry for each transaction linked to their IMB Visa Debit Card when they Tap and Pay using Google Pay, Samsung Pay, Garmin Pay and/or Fitbit Pay. Refunded transactions are excluded. All entrants must have an actively provisioned IMB Visa Debit card on their digital wallet at the end of the promotional period. This competition is open to all Australian residents. 1st prize $2,000, 2nd prize $1,000 and 3rd prize $500 will be paid into an IMB account chosen by the winner within 30 days of the draw. Entries open 12:01am, 30/01/19 and close 11:59pm, 24/04/19. The draw will take place at 3:30pm, 08/05/19 at 253 - 259 Crown St, Wollongong, NSW 2500. The winners will be contacted by telephone on the day of the draw. IMB's 'General Conditions of Entry into Competitions and Promotions and Competitions held by IMB Ltd' and full promotion special terms and conditions are available at imb.com.au. Authorised under NSW Permit No. LTPS/19/31315 and ACT TP 19/00079. Please consider the PDS available from IMB in relation to IMB deposit products and facilities. Terms and conditions apply to the use of Samsung Pay. Samsung, Samsung Pay, Galaxy S8 or Galaxy S8+ are trademarks or registered trademarks of Samsung Electronics Co., Ltd. Fitbit Pay™ is trademark or registered trademark of Fitbit Inc. in the U.S. and other countries. Google Pay is a trademark of Google LLC. 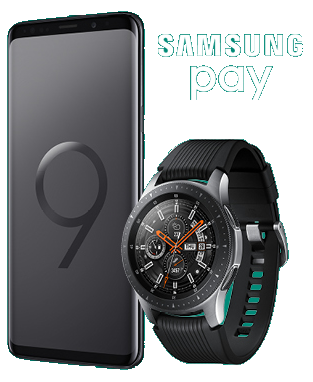 Samsung Pay is a trademark or registered trademark of Samsung Electronics Co., Ltd. Garmin Pay is a trademark of Garmin Ltd. or its subsidiaries. IMB Ltd trading as IMB Bank. ABN 92 087 651 974. AFSL/Australian Credit Licence 237 391.